BioFach 2009 is over and most of us are already back home. Now starts the hard work of transforming all the nice meetings and discussions into business. Well – not all, but at least some. In advance myself – and I am sure many others – were wondering how the economic downturn would effect the outcome. Will there be as many people visiting as last year? Probably there would not be any growth. During the show the commonest sentiment seemed to be – and I shared it – that there were slightly less visitors than last year but the quality of contact was good. Thursday and Friday were so busy that I was totally stuck on the stand. To me it seemed that there was less people from Asia and probably also from North America. The information given by BioFach pretty much confirms this. According to their press release the number of visitors was roughly 46.000 so pretty much the same as 2008. So I think we can be happy with that. 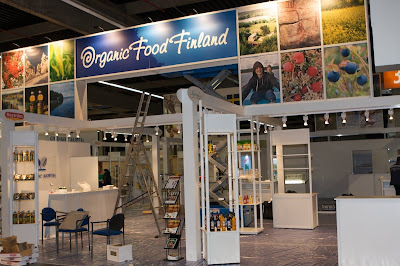 Finland was represented this year by 12 companies of which 7 in the Organic Food Finland Export Group. 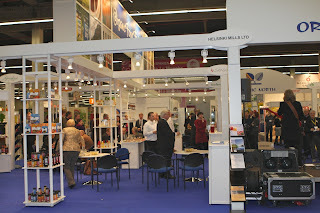 11 companies were on the joint stand while one was separately in Hall 1. We were for the first time in Hall 3 after being for years in Hall 1. Probably it was more quite there but I suppose most people who wanted to find us, did. However we might consider going back to Hall 1. Also for the first time we cooperated with Sweden which was positive. As long as the cooperation can be kept uncomplicated and straight-forward it is worth it. Spokesman, the Finnish representative of Nuerenberg Messe, did a great job in running the whole thing together. Maybe next year we will have also Norway with us and look for cooperation with Denmark – the country of the year in 2009. 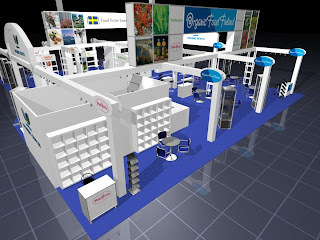 Denmark’s stand area was huge this year but will certainly be smaller (still big) in 2010. Four of the OFF companies were also presenting products under the Napapiiri Organics brand. The preserves from Maustaja were already presented last year but the juices from Greenfinn’s, the Porridge from Helsinki Mills and the “Rote Grütze” from Finnamyl were presented for the first time as ready products that can actually be ordered. 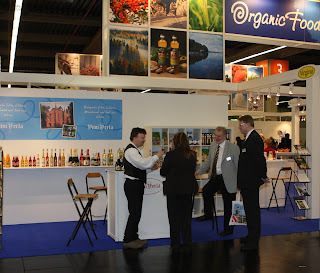 One of the first-timers on the Finnish stand was ViiniVerla, the one and only organic winery in Finland. The fantastic products – wines, sparklings, liquors are made of Finnish berries. “Verlados” is a Calvados type spirit made of apple. The products received extremily positive feedback. I am sure ViiniVerla’s next problem will be meeting demand. The Stand Party on Friday evening was a nice success. Sweden supplied the music – former Abba guitarist Janne Scaffer, and Finland offered Viiniverla’s sparklings and there was snack to eat from both sides. Some even danced. A real success! 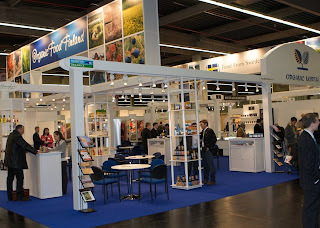 The BioFach 2009 was good – and we can better it in 2010. New prodcts in the Napapiiri Organics range from Finland. 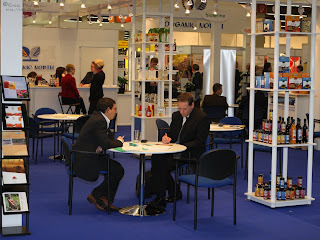 organic products and it is held in Nuerenberg, Germany next week (19th – 22nd February 2009). present in the Napapiiri Organics brand image. portion bag is easy to take with you anywhere and fast to prepare.